It wasn’t that long ago that I wrote about the issue of location in a Michigan DUI case. This facet of OWI cases is so important and critical to how things will play out for anyone charged with drunk driving that I believe we should take another look at it. The very first thing I ask my staff when they mention a new DUI case to me is “where?” When someone emails me about a drinking and driving charge, if they haven’t already mentioned the location, I will always ask, “In what city is your case?” The “where” factor, of course, is often the single most significant factor in terms of what happens to anyone facing a DUI. It is both interesting and ironic that some of the “tougher” locations, in terms of what ultimately happens to the client, are also the most efficient, providing a fast turnaround time for the lawyer handling a case, whereas some of the more lenient jurisdictions don’t move cases in and out nearly as quickly. You’d think that in a business where time really is money, a lawyer would be far more interested in the quick “in and out” over anything else, but at least for me, I “feel” the location by way of what will probably happen to my client. In other words, I’d rather get stuck all day in a more lenient court and walk out with a happy client than do a quick “in and out” in some court where the client is more likely to get pounded. As much as I’d like to claim the moral high ground here, most lawyers feel the same way. When a group of attorneys winds up talking shop, for example, things invariably turn to war stories about some tough court here, or how well things went in another court over there, and it’s clear that most lawyers “feel” for their clients, and would prefer, over everything else, to be in a court that is more forgiving rather than one, however efficient (meaning fast), that is not. If the rules were suddenly changed and the lawyer for a person arrested for a DUI could pick the court where his or her case would be handled, there would be a line out of the door of a few courthouses, while certain others would remain virtually empty. Not many lawyers are going to admit this, but every Judge knows, in their heart of hearts, that back when he or she practiced law, certain courts were more desirable than others (and this applies even if the Judge was a hard-nosed prosecutor that preferred the toughest of Judges). And while that’s all well and fine, the bottom line is that no matter what you or your lawyer want, or hope for, in terms of where your case arises, it is where it is. DUI cases are truly accidents of geography. First, I should note that any time I write about a particular case, I avoid as much reference as possible to any of the parties involved, from the client to the court and its location. I note this here because my writing can sometimes seem strained, if not outright strange, as I try to avoid any identifiers about the people and places involved in some cases I’m describing. While I very much believe that procuring a great outcome is something to be proud of, I also believe a lawyer should generally not blabber on about the court where it happened. A few days ago, a DUI client of mine had the entire charge dropped and wound up paying a small fine for a civil infraction that won’t even go on the driving record. Of course, that’s a great result, but do you really think any elected Judge wants to be known as being “easy” on drunk drivers? With a little effort, any lawyer can do just fine explaining his or her successes without dragging anyone else into the spotlight. Thus, I even try to keep my client’s gender out of any such descriptions. Earlier this week I was also retained in a case where the facts of the traffic stop, the arrest, and even the breath test all appear unusual. As I gather the evidence in this matter, I may (and certainly hope to) find that some legal challenges can be made to these things. I’m not one to take such things lightly, so when I see something I consider an issue, believe me, it’s an issue, and not just some wild goose chase funded by my client. As it turns out, the Judge in city where this case is pending is not only one of the “better,” meaning nicer (more lenient) in DUI cases, but also one who follows the law and who will exclude evidence if it was not properly obtained. There are some Judges who can be rather tough on DUI drivers, but who also hold the police to a high standard in gathering the evidence, as well. There are other Judges who, while not especially tough on DUI drivers, are not very inclined to dismiss drunk driving charges, either. For the most part, no Judge will exclude evidence or throw out a DUI charge unless he or she is legally required to do so. Some Judges, however, are much more flexible in letting evidence into court. Moreover, there isn’t a particularly high correlation between those Judges who are more lenient in terms of punishing a person convicted of drunk driving and also excluding evidence or dismissing cases. To put it bluntly, the same Judge who is a hard-a$$ on a DUI driver may also be a follow-the-law hard-a$$ about the evidence, and that can be a good thing. These analyses are interesting, and important, but they only matter in the context of where your case is pending. If you are arrested in a really tough jurisdiction, and the evidence against you is solid, then it couldn’t matter less how willing the Judge may be to exclude evidence that was obtained illegally. Similarly, if the evidence against you is a bit shaky, and even if your case is assigned to one of the nicest Judges around, if he or she is also “flexible” in terms on not ruling to keep it out, then you haven’t won any prizes there, either. As much as where you’re arrested is really an accident of geography, a police screw-up with the evidence, sufficient to call its admissibility into question, is also an accident of sorts, as well, although such breaks are certainly more the exception rather than the rule. In the real world, you are far more likely to wind up in a lenient court than you are to wind up having fatally botched evidence that makes up the charge against you. In either situation, though, it’s the “where” factor of your case that matters most. At the end of the day, success in a DUI case is much more about what doesn’t happen to you than anything else. The “where” factor also plays a role in how much you’ll pay in fines and costs. Interestingly, many of the courts in affluent areas are NOT among the most expensive. Some Judges are way more concerned about money than others. This is another issue, for reasons I trust the reader senses as obvious, that is best discussed in the privacy of the lawyer’s office, so we’ll leave it at that for now. The ability to pay your fines and costs in full at the time of sentencing is always a good thing, but needing time to pay can be, to put this delicately, less of an issue in some courts than others. 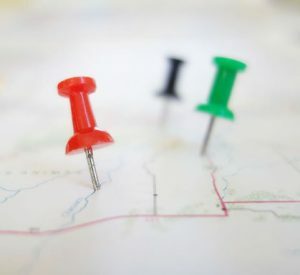 Although there is no strategy about where you get your DUI, the “where” factor can affect the strategy used in any specific location. What works well in front of one Judge may not fly with another. It is important that, whatever else, you hire a lawyer who is familiar with the court where your case is pending. This is why I limit my DUI practice to the Metro-Detroit area, meaning the district and circuit courts of Oakland, Macomb and Wayne Counties, in addition to a few surrounding counties, as well. Sure, a lawyer can make a lot of money by taking every case that comes his or her way, but you should be paying a lawyer for his or her experience, not paying their tuition to learn about a court that he or she doesn’t get to very often. The grand takeaway here is that location matters, and matters a lot. This should be at the very forefront of any discussion you have with the lawyers you contact as you look to hire one for your case, and it should not be up to you to first address it, either. Not to be undiplomatic about it, but if you’re screening lawyers and this isn’t the first thing, or one of the very first things brought up, then you should keep looking. As you do undertake finding a lawyer, you should always be a good and smart consumer. Read what a lawyer has written, because you can learn a lot about him or her that way. It’s almost 2018, and we’re long into the information age, so be wary of any lawyer that hasn’t put up a decent amount of articles or information. Believe me, you can spend more time than you have reading through what many lawyers have published (and that certainly includes me), so don’t waste your time with any operation that has only undertaken the effort to put out a few paragraphs. Look for real information. It’s easy to raise questions, but it’s answering them that matters most. When you’ve done your homework, check around. We’re here to help Monday through Friday, from 8:30 a.m. until 5:00 p.m., and you can reach my office at (586) 465-1980. All of my consultations are confidential and done over the phone, right when you call.